Hello Everyone! Jenn here today sharing this pretty card with a Good Luck theme. 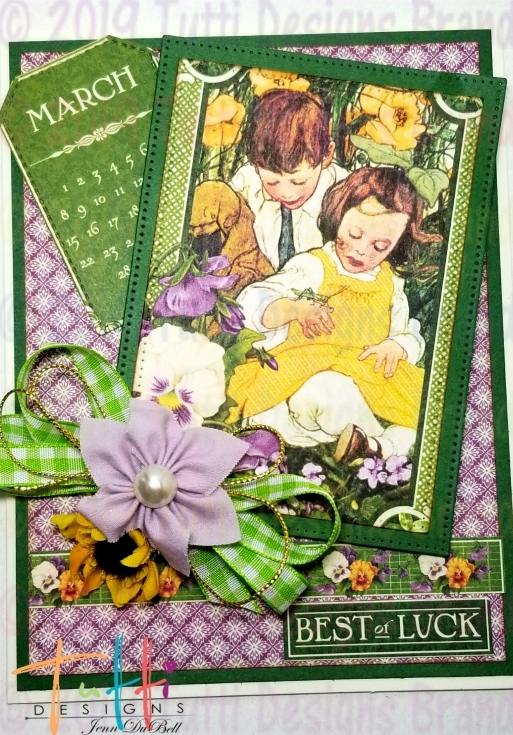 I have used the following dies to create my card. 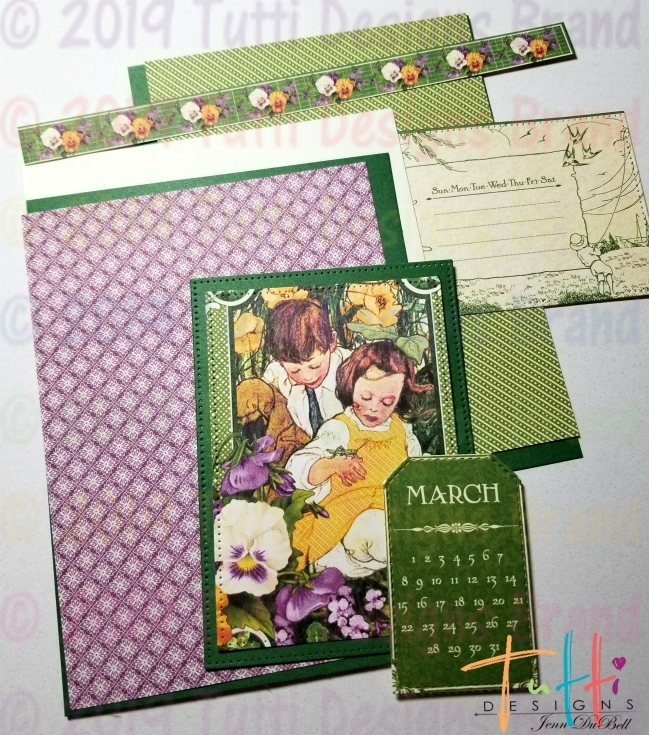 I have combined the amazing Tutti designs dies with beautiful papers from Graphic 45's Children's Hour collection. These measurements are for a 5 X 6 1/2 " card base as I used here. 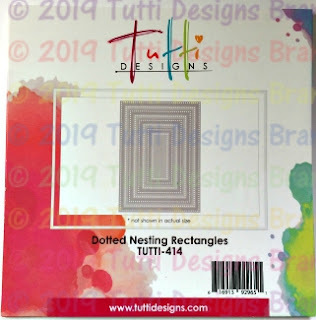 Green cardstock - 2 cut at 4 3/4 X 6 1/4"
Patterned papers - 2 at 4 1/2 X 6"
Use the largest dotted nesting rectangle die to cut one mat using green card stock for the front image. 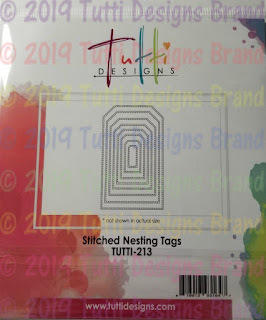 Use a stitched nesting tag die to cut the calendar from the paper. To assemble card start from the inside and adhere the green 4 3/4 X 6 1/4" card stock followed by a patterned 4 1/2 X 6" on top. Add the die cut lined image and some thin strips cut from scraps to create the top and bottom borders. Start with the green card stock 4 3/4 X 6 1/4" followed by the patterned 4 1/2 X 6" on top. Adhere the die cut image to the larger die cut green rectangle. Add scrap cardboard to the back to lift it up using glue. Place the die cut tag calendar at an angle as shown and then adhere the matted image on top of it at a slight angle. 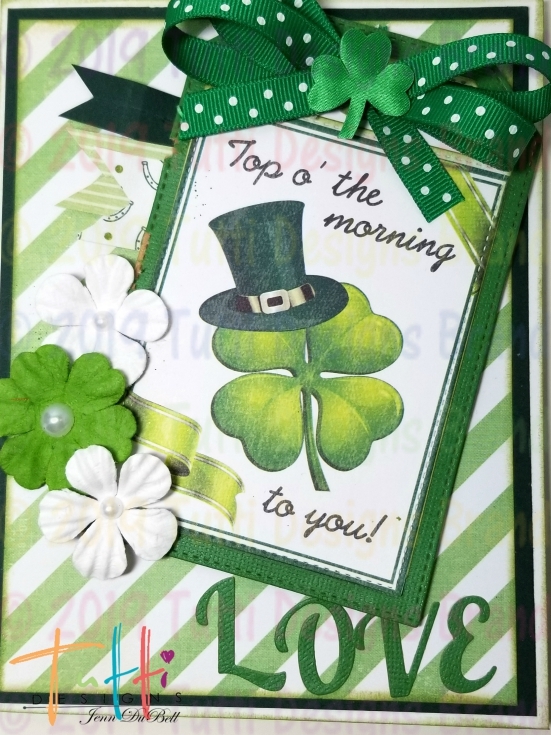 Add a strip of border to the bottom and a cut out sentiment. Then add flowers and bow! I inked the edges of my papers using Distress Ink in Vintage Photo. 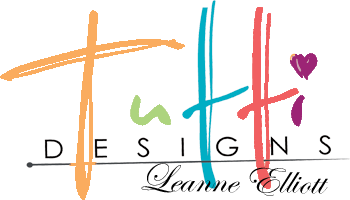 Using the wonderful Tutti Designs Die. I cut out the Butterfly Medallion out of pink and yellow cardstock. I snipped the butterfly out of the yellow. I inked the cardstock up and added a small sentiment on the bottom. 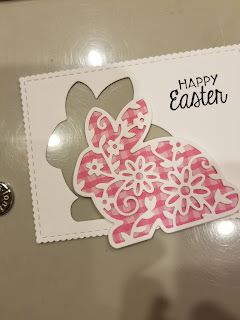 I used an embossing folder for the background as well. I also added some foam tape to the butterfly to pop it up some. 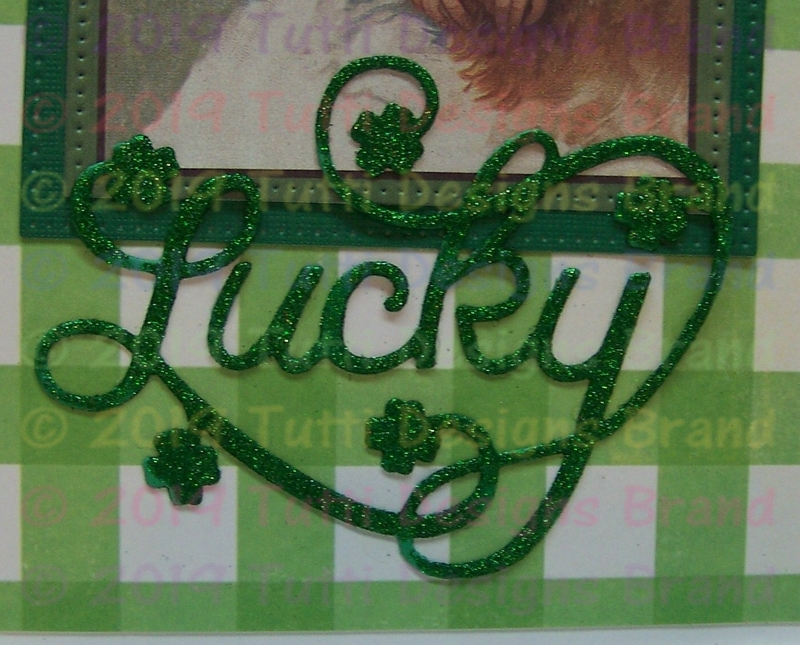 to use with the die cut word Lucky. layering one under the other. just in time for St Patrick's Day!! January dies from the Tutti Designs Store. 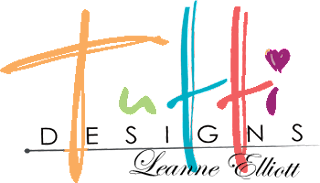 If you've not seen them yet, you really need to pop over and have a look! There are some really cute dies to create your cards for the upcoming holidays ... Valentine's Day, St. Patrick's Day and Easter. Cute Cute Cute!!! This card is sure to make any little birthday girl HAPPY! 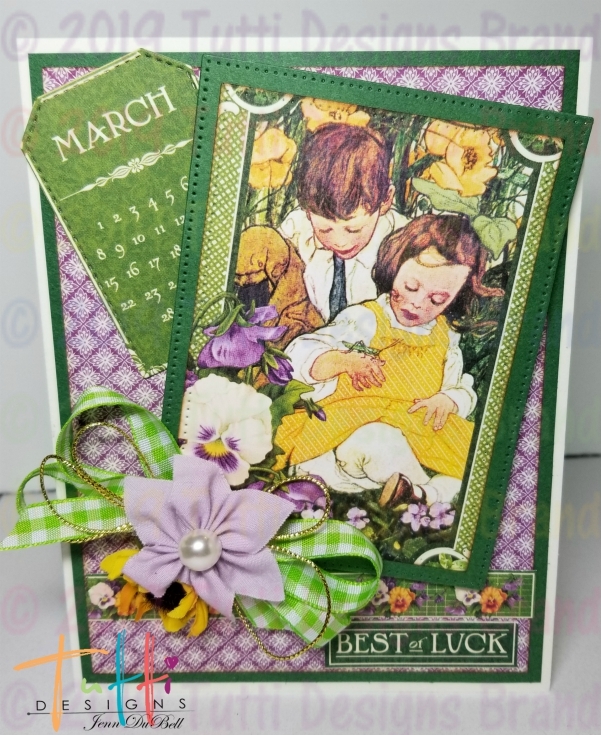 An older release, (must have) die set ..
to die cut the sentiment panel and the pink matting panel. For my unicorn I have die cut him twice ... once in white and one in pink card stock. The mane & tail pop out so I kept the pink ones in by adding a think piece of scotch tape on the back. Then I popped out the white ones and layered the two unicorns together. A tiny piece of turquoise blue card stock was adhered to the back for his blue eye. Dimensional tape was added to achieve dimension. 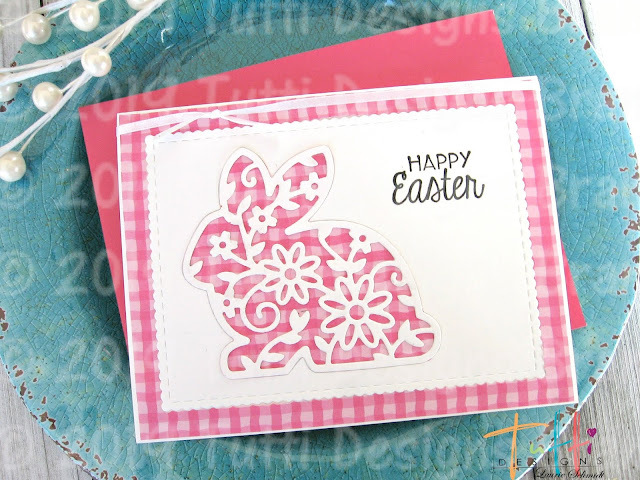 Laurie here with a card I made featuring Tutti Designs Floral Easter Bunny. I cut it out in white, and then traced the die on some pink gingham paper. I adhered them together for my bunny. Then I did some inlaying. First I cut out the scalloped stitched rectangle in white. Then I cut the bunny out from that, so I could adhere it inside. I also stamped the sentiment off to the side. Then I made my frame so I could inlay the whole thing. 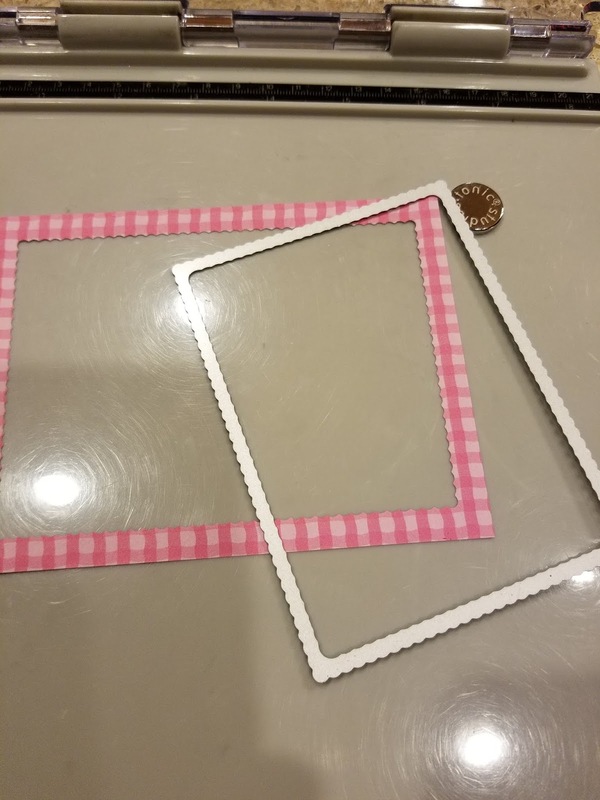 I cut out a piece of pink gingham paper, and then cut the rectangle from that. I adhered the frame on my card first, then the white rectangle inside, then the bunny inside that. I love the flat look and feel from the inlaying! Hello everyone, Jenn here sharing my fun St. Patrick's day card featuring the Amazing Tutti Designs Dies! 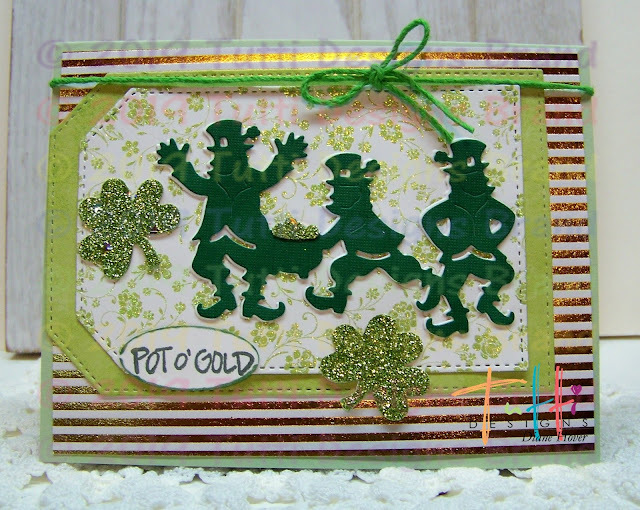 I just love St. Patrick's Day and Tutti has some amazing newly released dies that are perfect for creating cards like mine. To create my card, I started with a white, 5 X 6 1/2" card base. Using the largest Tag die cut one from lined paper, one from green card stock, and one from white. I used my Xyron sticker maker to create a sticker from the lined paper and adhered it to the white tag. 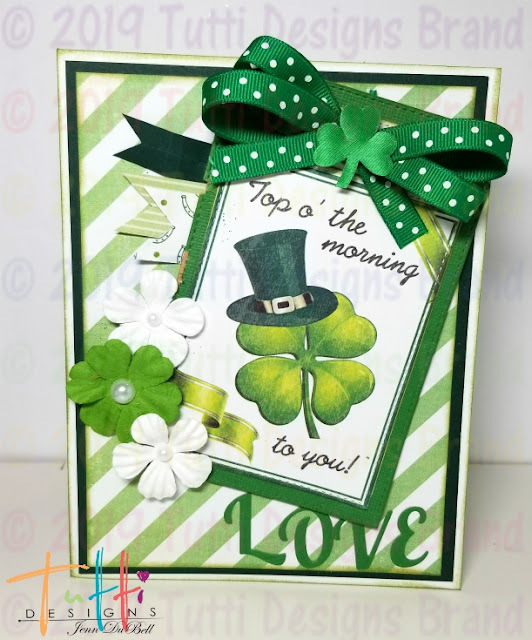 Cut one Love Shamrock die from green card stock. Be sure to save the letters! 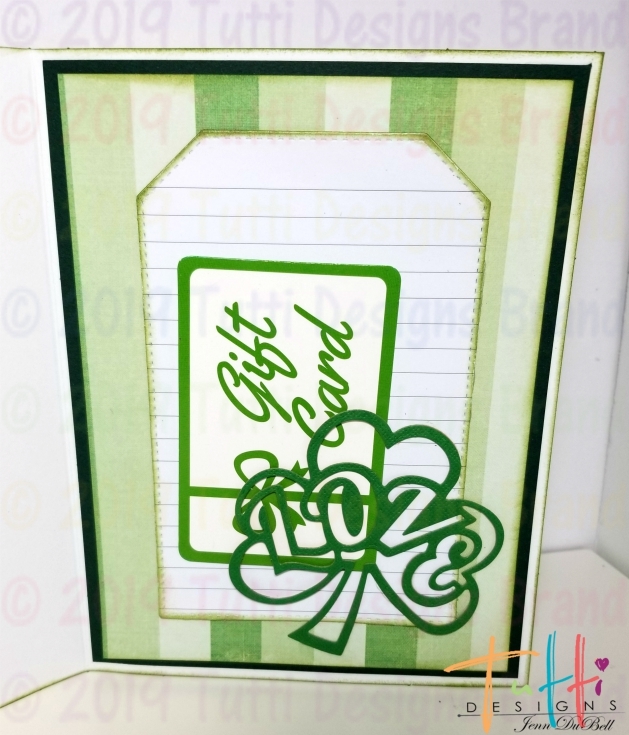 Cut a sentiment using a dotted rectangle die for the front. Adhere it to the Green die cut tag. Start with the inside of the card. Adhere the green card stock, followed by the patterned. Next adhere the lined tag on top. Add the Love Shamrock Die Cut to the corner of the tag only, leaving room to slip in a gift card as shown. 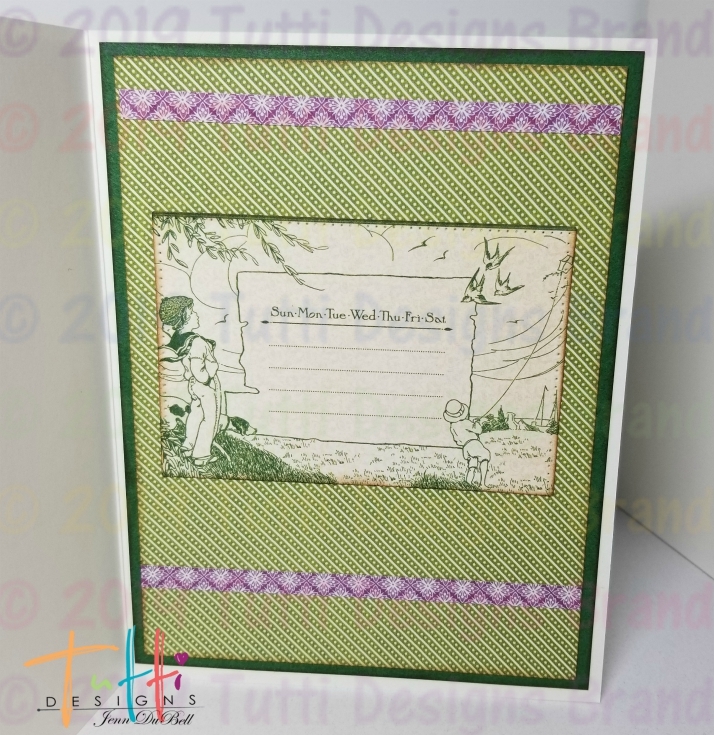 For the front of the card, Adhere the green and patterned as done in the inside. Use Foam adhesive squares to lift the tag and adhere to the front. Add a bow, flowers, and the letters "LOVE" from the shamrock die cut. I inked the edges of my papers using Distress Ink in Mowed Lawn. I used the Stitched Square to cut out the center of the brown card stock. Happy Birthday was an extra add once I had the card together. for them to dance on!! 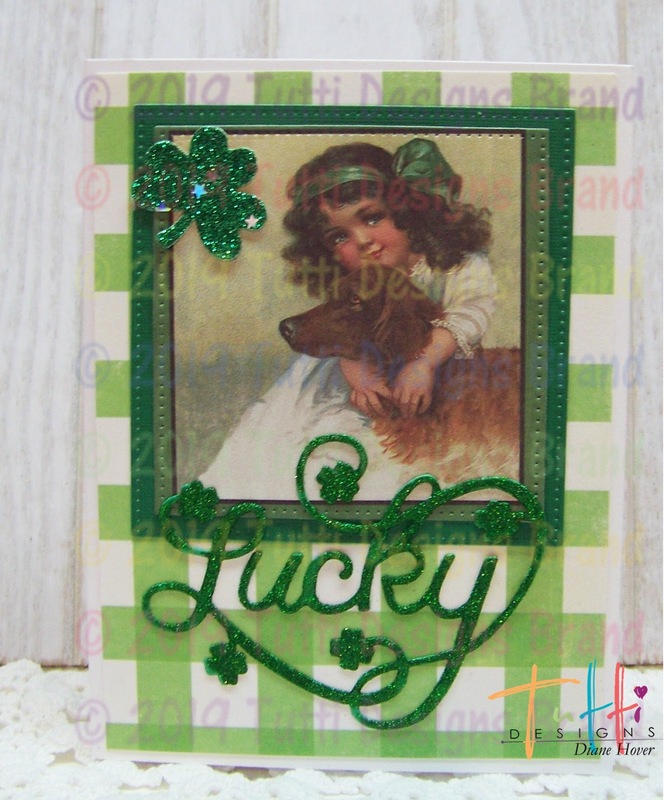 and a few glittery shamrock stickers...easy!! This card is for all the cat lovers out there! I know my family was/is more of a 'dog' family but my daughter has a cat AND a dog (and a horse, cows, chickens, ducks .. and on and on lol). So I hope this card brings a smile because we all know our animals are truly our FRIEND! While designing my card I knew I wanted to use the word FRIENDS as my sentiment and went about die cutting it from different colors of blue that are in the background paper. I had intended on maybe stacking them (with my best choice of coordinating color on top), or maybe off setting two of the colors but when all was said and done, THIS is what happened! LOL I used them all in a little bit different way! Hope you like it! Here are all the focus die cut components for today's card. them to the blue circle panel.